You know it’s a good day when Nutella is involved. That’s how my Saturday was last week. While in the Bahamas, my sister and I decided to make Nutella and Oreo cookies. Can’t say no to that right?! Pretty simple to make. We’ve made the Oreo chocolate chip cookies before because they are just that good. Take a handful of cookie dough and wrap it around an Oreo and make sure the Oreo is covered. You can make however many you’d like! 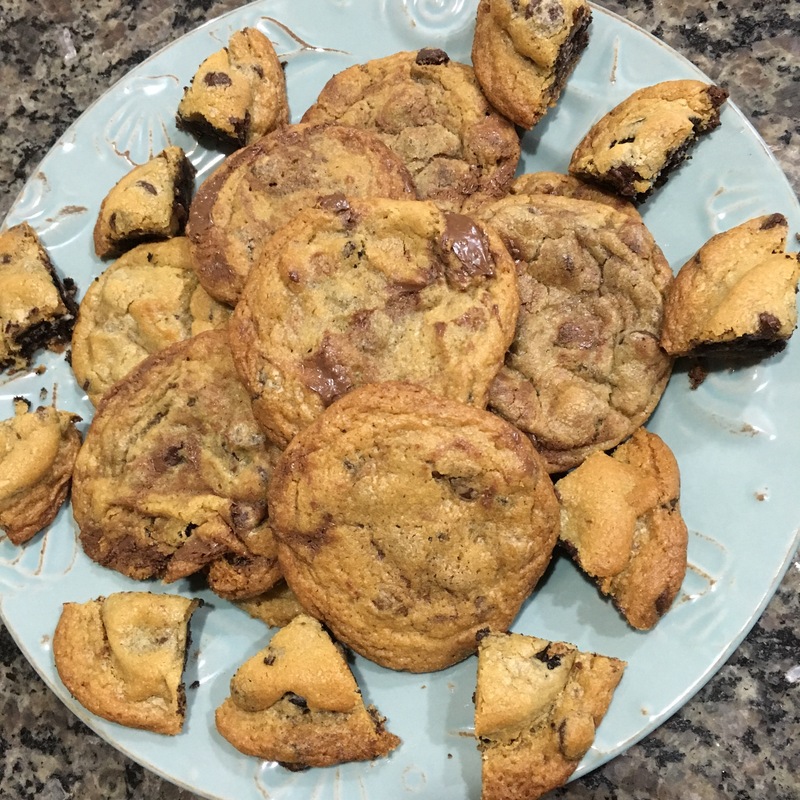 For the Nutella cookies, flatten a piece of dough and place a spoonful of Nutella in the middle and wrap up the cookie dough. Place on baking sheets, bake at 350 for around 8 to 10 minutes. Let them cool and they’re ready to eat! They are and quite addicting after you make them! I’m sure, I may need to just admire pics!